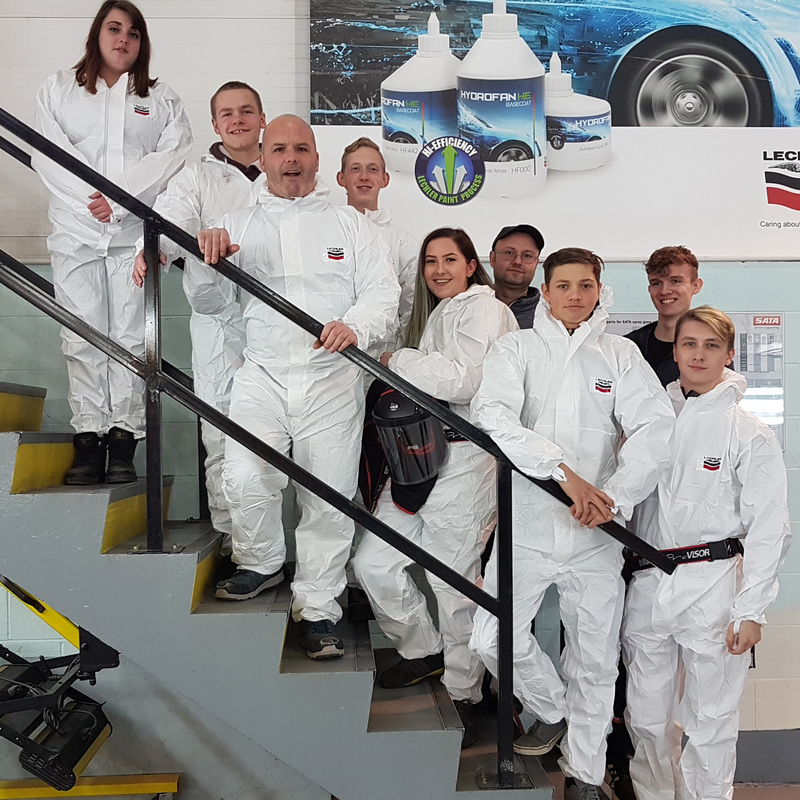 KC Body Shop Learners Visit Lechler! 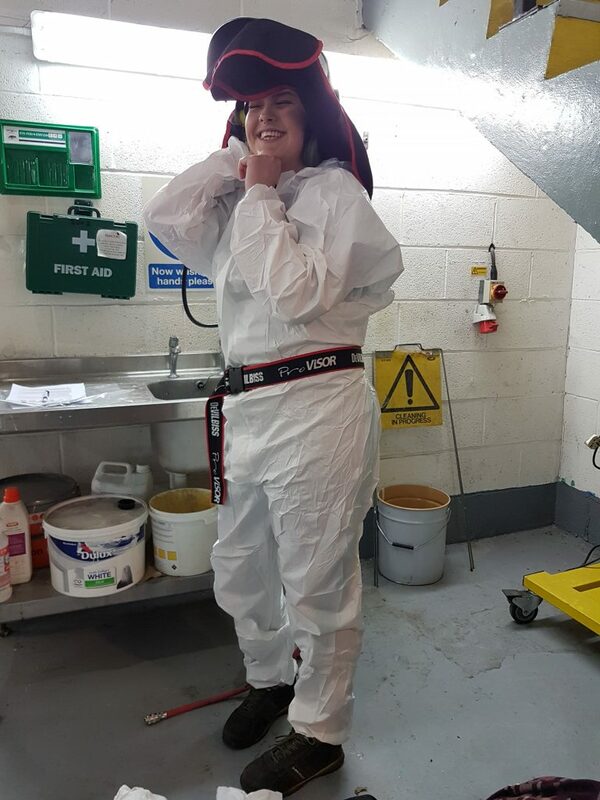 Our Body Shop learners got the chance to visit the Lechler warehouse in Manchester last week. 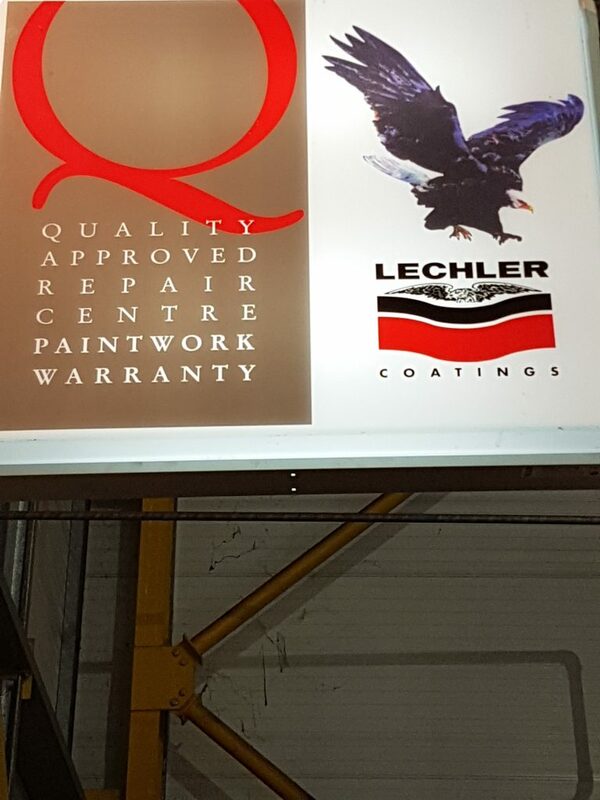 Lechler produce a huge variety of products, tools, paints and services and have a reputation for being the supplier for body shop and vehicle re-spray. 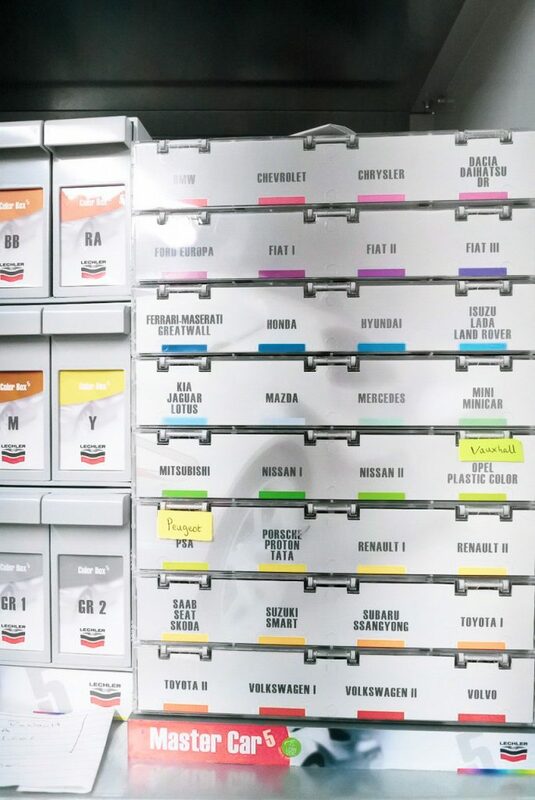 Since 1858 millions of customers have chosen Lechler paints in the Industry, Refinish, Decorative, Yachting and Habitat sectors identified by the five brands of the group. 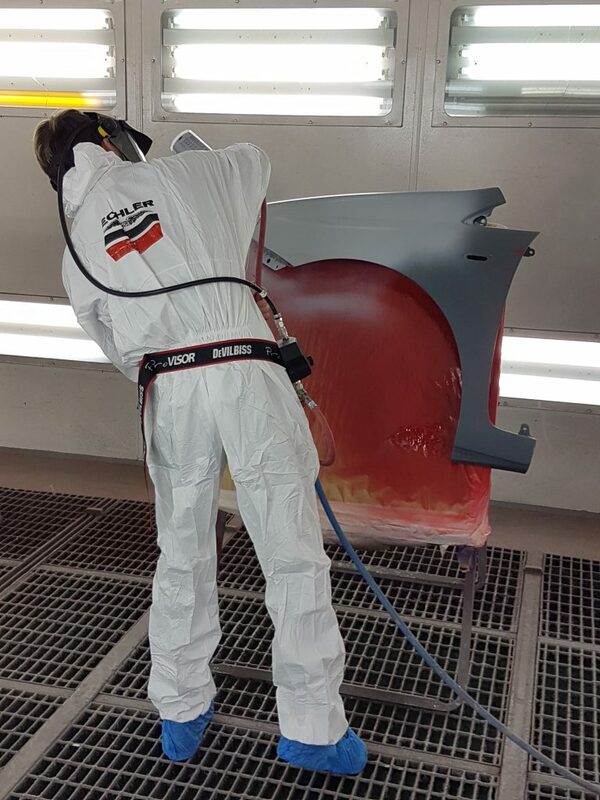 After more than 150 years approximately 600 people contribute their abilities and passion to the work of research, development, production and marketing of paint products and the training of users. In Europe the head office of Lechler is located in Como while the production sites are in Como, Seregno and Foligno. There are the four branches in Manchester (UK), Grenoble (France), Barcelona (Spain) and Kassel(Germany). In Brazil the company operates in the production site and branch of Paraì (Rio Grande do Sul) and the branches of Rio Negrinho (Santa Catarina), Ubà (Minas Gerais) and Paulínia (São Paulo). Lechler’s products are currently distributed in over 65 countries worldwide. Due to its history and technological success, Lechler has always been a reference brand in the Automotive international market. 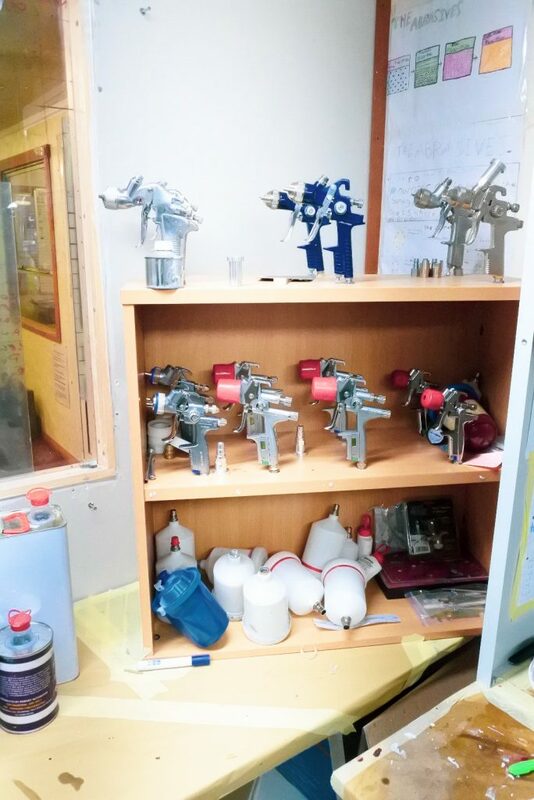 The main technological evolutions in this field have allowed Lechler to launch onto the market, often in advance, innovative products, systems and services with high technological content. 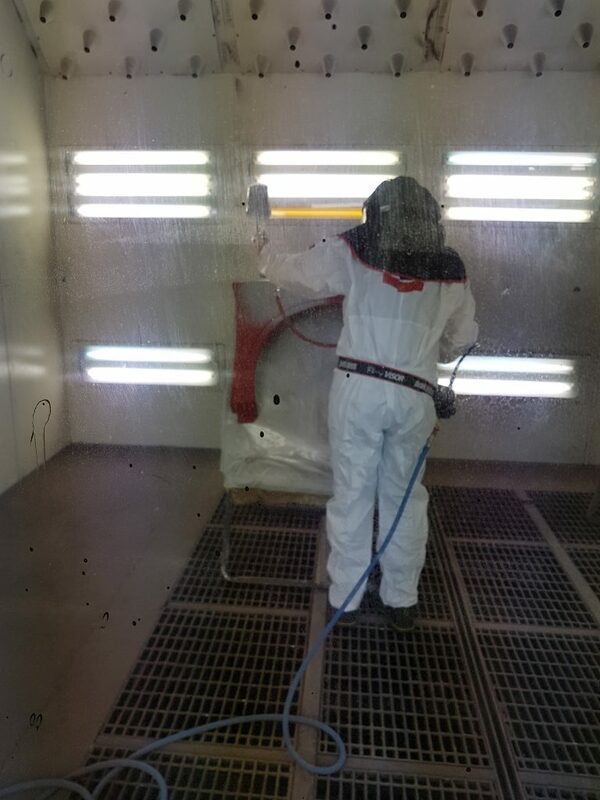 Lechler for Refinish is the proposal for car repair bodyshops that, by means of painting processes composed of high technology and low environmental impact products, strive to differ on the market and offer their customers the proper quality, in terms of both aesthetical aspect and durability, working at the same time with the highest efficiency and productivity and paying attention to the respect of the environment. Adam Griffin, Body Shop Lecturer, had this to say about the trip: Kidderminster College are proud to use Lechler products as part of this course, so it was an amazing opportunity for our learners to see where the tools are distributed from and to both see and experience first hand what a commercial body shop is like. 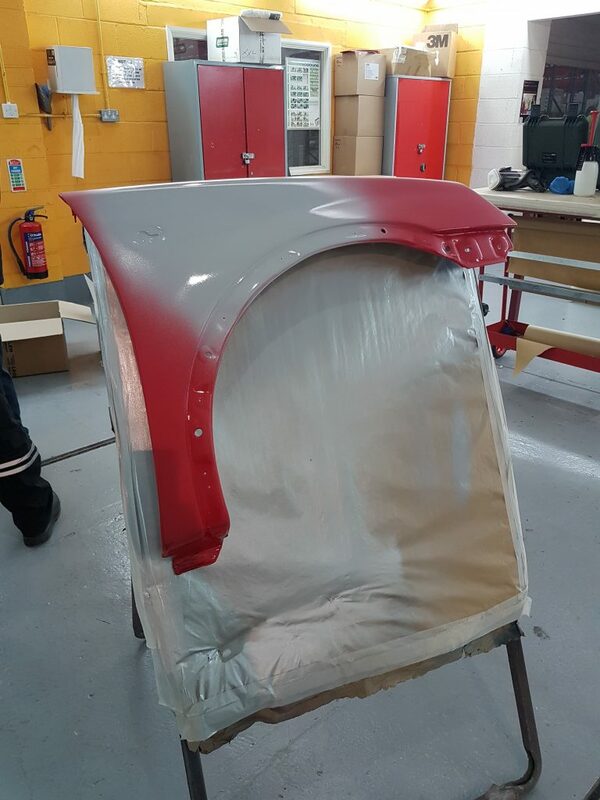 Body Shop is taught over at Kidderminster College Vocational Skills Centre, if you get a chance, you should check out their work!